There are times creating art can be the most "Zen", peaceful, de-stressing activity you can do. Then there are times it is not. Sometimes you go into your studio space "off". You may be frustrated, tired, or preoccupied before you even pick up the brush(or other tool of creating). 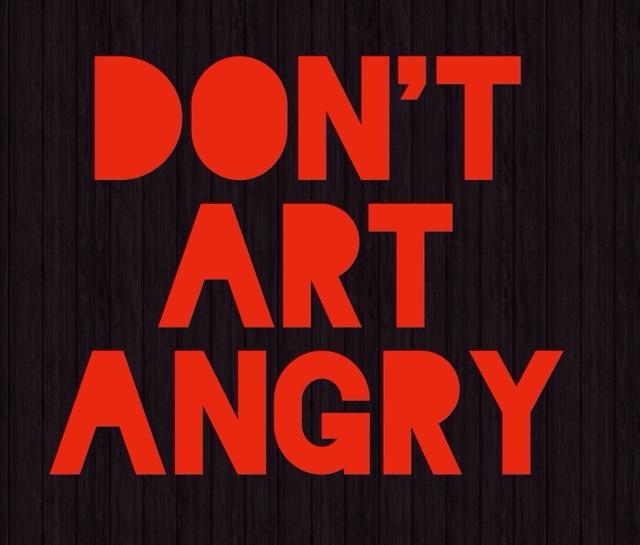 There are other times where the art making process is the source of your anger. We all have bad art days where nothing seems to go right. You struggle to put what's in your head out of your head. You wrestle with a technique that your gut tells you is the only way to create your piece. You just feel unable to convey the message your heart wants to share. In that moment of frustration you destroy your art, you paint over hours of work, or you simply toss it in the trashcan. 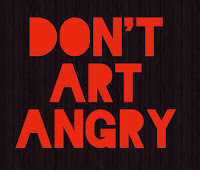 Artists are emotional people, but being ruled by anger/frustration often ends in a hasty decision you regret later. Instead of having a break through...you have a break down. Our world is one of extremes. So much has happened recently that has been fueled by anger, hate, and selfishness. There seems to be so little care for our fellow man(woman). Their has been a choice of ignorance & arrogance over understanding & compassion. In James 1:19-20 we see an amazing outline for living in a world of differences. Be quick to listen (because in listening you may gain understanding & see beyond your own point of view). Slow to speak (because our mouth gets us into trouble before our brain can keep us out of it...plus people may need us to keep our words and opinions to ourselves). Slow to become angry (because anger creates distance and distraction from what is really at the heart of the matter). It goes on to say that "human anger" does not produce the righteousness that God desires. So we can't be who God created us to be if we choose a life of entitled anger. We miss that break through that God desires for us when we allow the things of this world to break us down, and we bow to the anger that clouds our thoughts, motives, and relationships. We throw away what could be wonderful because we allowed a moment to dictate our direction.